With sublime views of the Atlantic and the surrounding mountains, the O on Kloof Boutique Hotel offers guests an extraordinary stay in the gorgeous city of Cape Town. Comfort and hospitality are key features of this small, family-run hotel, where greeting guests with champagne upon arrival is indicative of the level of attentiveness offered by friendly staff. O on Kloof’s contemporary décor, decadent furnishings and spacious rooms are luxurious, yet still maintain the hotel’s unique character, while water features and sumptuous lounges provide an oasis of calm that is ideal for recuperating after a day of sightseeing. A heated indoor swimming pool and a fully equipped gym are available for guest use only, while – for those who prefer to unwind by a romantic fire – there is also an extensive library of books, DVDs and CDs to be enjoyed. In order to tempt guests into a further state of bliss, the hotel has an array of indulgent spa treatments available. With just eight rooms, the hotel provides a quiet space for guests, along with incredible service that caters to their every need. The rooms themselves have a range of amenities to make the stay as comfortable as possible, including cotton bath robes, a fully-stocked mini bar, satellite television and a same-day laundry service. 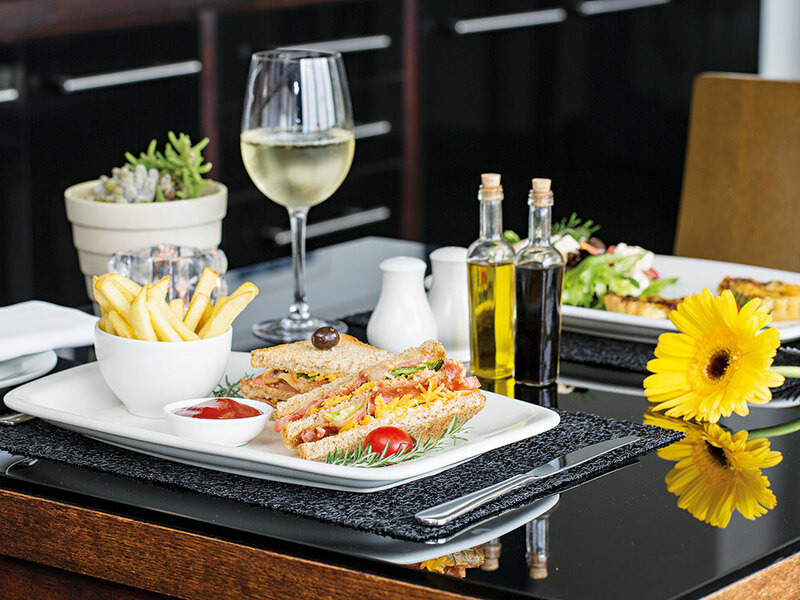 While staying at O on Kloof, guests are recommended to take advantage of the outdoor dining space and indulge in the first-rate cuisine available, which includes a delectable variety of local produce that is cooked by highly trained chefs. When drinking cocktails or sampling South African wines on the deck with a magnificent view of Lion’s Head Mountain, some guests may find it difficult to leave the hotel – but, after starting the day perfectly with a delicious breakfast that is cooked to order, guests can rest assured that there is plenty to enjoy in Cape Town. The hotel’s team are always on hand to offer advice and recommend customised day tours, enabling guests to make the most out of their trip. Named as the number one destination to visit by The New York Times last year, Cape Town has a supply of unique offering for travellers. Being a vibrant city with incredible surroundings means that there really is something for everyone. Exploring the city is a must, especially given that Cape Town is in a process of reinventing itself as a cultural tourism destination – and when taking in the incredible architecture and numerous galleries throughout the city, it is easy to see why this is the case. With a focus on celebrating the arts, there is a regular offering of fashion shows, open art studios and live performances for both residents and tourists to revel in. Visiting South Africa’s natural sites is an opportunity not to be missed: the stunning Camps Bay features a boardwalk of trendy restaurants along a turquoise blue coastline, while Bantry Bay, a unique geological site that was once visited by Charles Darwin, is also a short car journey away from the hotel. Guests can take an excursion to Constantia Valley, Southern Africa’s oldest wine-growing area, or visit a nearby breeding colony of endangered African penguins at Boulders Beach. Cape Town is a creative and exciting destination that also provides inspiring views, natural wonders and exotic wildlife – a rare combination of offerings for any cosmopolitan city. 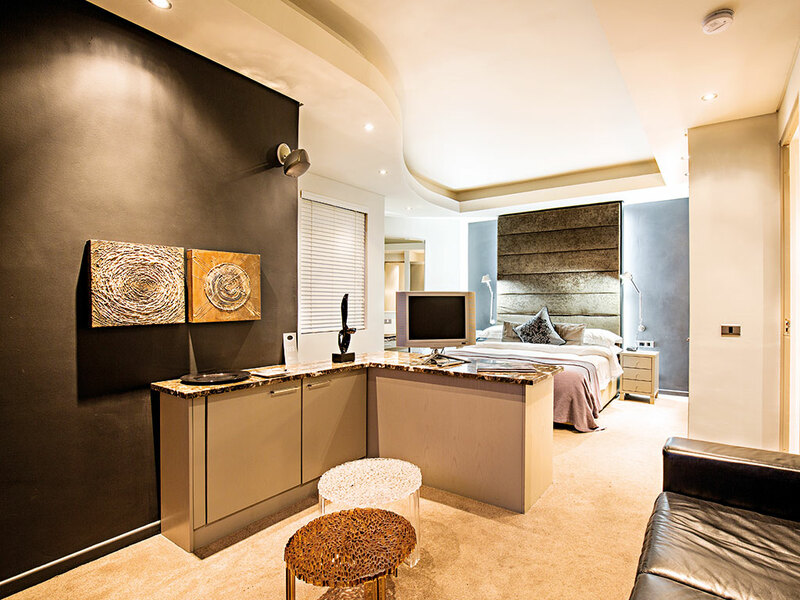 O on Kloof is the ideal location to take in everything that this incredible place has to offer – that is, if guests can be tempted enough to leave the tranquillity and luxury of the hotel.